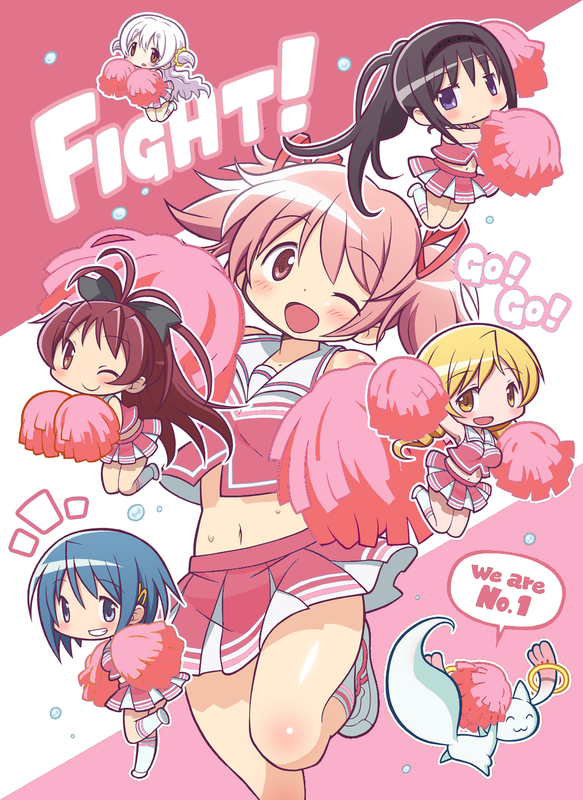 There are many things that never get old for Tatsuya Kaname's Mitakihara Magi football team. Winning is one thing. Winning trophies is another. And one more tradition: hosting conference championship games. This week, the boys from M-Town are at it again, hosting the Colorado State Rams in the 2052 Mountain West Conference Championship Game at the frosty, hostile confines of Mitakihara Stadium. At 9-3 (6-3), Colorado State are one of those run-of-the-mill teams that won't sneak up on you, but will fire away when they have the chance. On the other hand, you already know the potent power of 12-0 (9-0) Mitakihara: deadly with the pass, lethal with the run, and capable to scoring as many as 255 over an opponent in a given game or win out the close grinders, which have been more common at home for some strange reason. The Magi are the Best College Football Team in All of College Football for a reason, and the reason is the playmaking ability of halfback D.W. Hinoi, who has been the starting quarterback since Week 3. Two weeks ago, Ike Ike had lit up the UNLV defense for 20 passing touchdowns despite throwing nine interceptions. Hinoi's perseverance and grit is the reason why he is at the forefront of the Heisman Trophy race. With starting quarterback Haruyuki Arita injured this season due to a strained back, the freshman liberal arts major has drawn rave reviews for his athleticism and tenacity. "D.W. is a work-in-progress, one that will settle into his role as the all-purpose player in our system," said Coach Kaname this week at the Reimu Hakurei Centre for Sports Excellence, or Hakurei Centre for short. "He know that he can run, he can throw, he can even return kickoffs for touchdowns. We want to utilize him as much as possible because you never know what you're going to get from Ike Ike. "Our defense is a turnover machine. We can't overlook the fact that we give up the passing yardage at will. But we make up for it with one of the fiercest run defenses in college football that can force bevies of takeaways with precision and skill. Our style of play and our relentless defense are a hallmark of our program. "Colorado State is an opponent we've faced before, so this isn't anything new. However, we will approach every game with the same mentality: to win and win big. Put on a show for the fans, impress the doubters with our ability and style and win the hearts of those who want to indulge in our burning desire to bring glory to Canada. "We're a program that thrives of success and the support of the community and the country. We have no signs of slowing down and we're ready to keep the momentum going so that we can bring another Bowl Championship Series title to Mitakihara. When you're as successful as we have been, slowing down doesn't even register in our minds. In fact, it's forbidden." The Magi are favorites by Vegas bookmakers to win by at least 50.